If news headlines and journalism conference panels are any indication, trust and misinformation are huge issues facing journalism and the media industry. And there may be a good reason for it. However, the report found a bright spot. While trust in platforms (search engines and social media) decreased, trust in journalism rose. In this new media environment, the Knight Center is offering the online course “Trust and verification in an age of misinformation,” taught by Craig Silverman, media editor for BuzzFeed News and an internationally recognized expert on this issue. This course is possible thanks to generous support from the John S. and James L. Knight Foundation, which awarded the Center a $600,000 grant in April 2016 to expand its online journalism education program over the following four years. The free, four-week course will take place from April 9 to May 6, 2018. Register now! “We are going to look at things like the way that journalists typically have built trust and typically have dealt with verification. And then we’re going to take a look at how these kinds of things have changed, how journalists and newsrooms need to change in this new age,” said Silverman. Silverman will help students understand the implications of these changes for journalists, including how they distinguish themselves, build trust, acquire new skills, verify information and push back against misinformation. Jay Rosen, professor at New York University, will join Silverman for module 1 on the fundamentals of trust and verification. Claire Wardle, research director at First Draft News, will be part of module 2 on understanding today’s media environment. 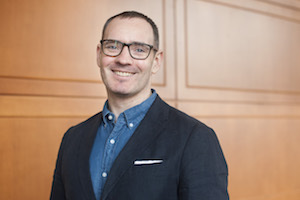 Malachy Browne, senior story producer at The New York Times and specialist in video verification, will contribute to verifying and debunking misinformation as part of module 3. Joy Mayer of the Trusting News Project will be part of module 4 on building trust through transparency and accountability. The course will include videos, presentations, readings, discussion forums and weekly quizzes. Although this program has been prepared for journalists, anyone interested in learning about the dynamics of trust and transparency in digital journalism, and how to verify digital content and debunk online misinformation, is invited to register. An internet connection and web browser are the only tools required. Silverman is a leading expert on online misinformation, fake news and content verification. Before his current post as media editor of BuzzFeed News, he was founding editor of BuzzFeed Canada and founded Emergent.info, a rumor tracking project developed as part of a fellowship with the Tow Center for Digital Journalism at Columbia University. He authored the blog Regret the Error, which looked at media accuracy and corrections, and the book “Regret the Error: How Media Mistakes Pollute the Press and Imperil Free Speech.” He’s also worked for OpenFile, PBS MediaShift, The Globe And Mail, Toronto Star and Columbia Journalism Review. "Craig Silverman is a pioneer in this field and one of the first journalists who started calling attention to the phenomenon of the spread of fake news in social media," said professor Rosental Alves, founder and director of the Knight Center at University of Texas at Austin. "Silverman is also a pioneer in efforts to debunk misinformation and to teach journalists new skills of verification. We are proud to have him as an instructor in this extraordinary course." At the 2017 International Symposium on Online Journalism (ISOJ), hosted by the Knight Center for Journalism in the Americas, Silverman spoke about the international trend of fact-checking. A video of his presentation can be viewed here. Like all Knight Center massive open online courses (MOOCs), this program will be asynchronous, which means that students can take the lessons on their own time, when it is most convenient, during the four week period. However, there will be suggested deadlines to help you keep pace with the course. Students who successfully complete the course, including weekly questionnaires and weekly participation in discussion forums, can obtain a certificate after verification by Knight Center staff. The certificate, which is available in PDF format for U.S. $30, attests to the participation in the online course, but has no formal academic credit linked to it. The Knight Center for Journalism in the Americas was created in 2002 by Professor Rosental Alves, Knight Chair of Journalism at the Moody School of Communication at the University of Texas, thanks to the generous donations of the John S. and James L. Knight Foundation. The Knight Center’s distance learning program began in 2003 and is funded in part by the Knight Foundation. Over the past five years, Knight Center MOOCs have reached more than 130,000 people in more than 170 countries.